Adolphe "Ade" John Schwammel (October 14, 1908 – November 18, 1979)  was an American football tackle who played five seasons in the National Football League with the Green Bay Packers. The Pyramid Play is a defensive play in American football, where a defensive player is hoisted up by two other players in an effort to block a place kick attempt by the opposing team. The play was created and implemented by the 1933 Oregon State Agricultural College team. Phi Delta Theta (ΦΔΘ), commonly known as Phi Delt, is an international social fraternity founded at Miami University in 1848 and headquartered in Oxford, Ohio. Phi Delta Theta, along with Beta Theta Pi and Sigma Chi form the Miami Triad. The fraternity has about 185 active chapters and colonies in over 43 U.S. states and five Canadian provinces and has initiated more than 251,000 men between 1848 and 2014. There are over 160,000 living alumni. Phi Delta Theta chartered house corporations own more than 135 houses valued at over $141 million as of summer 2015. There are nearly 100 recognized alumni clubs across the U.S. and Canada. Reginald Howard White was a professional American football player who played defensive end in the National Football League (NFL) for 15 seasons during the 1980s and 1990s. He played college football for the University of Tennessee, and was recognized as an All-American. After playing two professional seasons for the Memphis Showboats of the United States Football League (USFL), he was selected in the first round of the 1984 Supplemental Draft, and then played for the NFL's Philadelphia Eagles, Green Bay Packers, and Carolina Panthers, becoming one of the most awarded players in NFL history. William Clay Matthews Jr. is a former American football linebacker who played for the Cleveland Browns and the Atlanta Falcons of the National Football League (NFL). He was the first round draft pick of the Browns and played in 278 games over 19 NFL seasons, the 17th most appearances in league history. Matthews had 1,561 tackles in his career, the third most in NFL history. Mark Tauscher is a former American football offensive tackle in the National Football League (NFL). 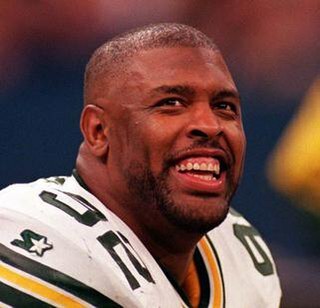 He was drafted by the Green Bay Packers in the seventh round of the 2000 NFL Draft. 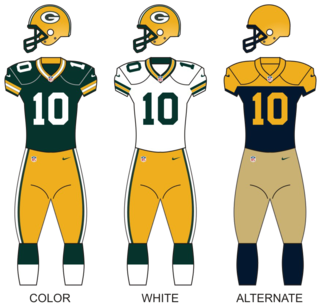 He won Super Bowl XLV with them over the Pittsburgh Steelers. He played college football at Wisconsin. He now provides studio commentary for NFL coverage on Sky Sports in Britain. Kenneth Francis Ruettgers is a former National Football League offensive tackle who played for the Green Bay Packers from 1985 to 1996. Charles Teetai Ane Jr. was an American football offensive lineman who played in the National Football League (NFL) for the Detroit Lions. He played college football at the University of Southern California. 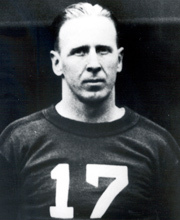 Alonzo L. "Lon" Stiner was an American football player and coach. He served as the head football coach at Oregon State University from 1933 to 1948, compiling a record of 74–49–17. Roger John Anderson is a former American football player. Matthew Wilhelm is a former American college and professional football player and a current radio/TV football analyst. George William Forester was a professional American football linebacker in the National Football League. He played eleven seasons for the Green Bay Packers (1953–1963) and was selected to four Pro Bowls. He was selected to the Packers Hall of Fame in 1974. Everson Griffen is an American football defensive end for the Minnesota Vikings of the National Football League. 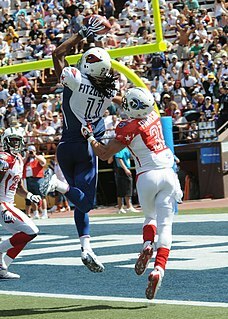 He was selected in the fourth round and 100th overall pick in the 2010 NFL Draft after playing college football at USC. A graduate of Agua Fria High School, Griffen was the highest-ranked prospect to come out of the state of Arizona since Terrell Suggs, whom he idolized growing up. He has been described as “one of the rare physical freaks that come around only once in a blue moon”. William Clay Matthews III is an American football outside linebacker for the Green Bay Packers of the National Football League (NFL). After attending Agoura High School in Agoura Hills, California, Matthews was a walk-on student athlete at the University of Southern California for the USC Trojans football team under head coach Pete Carroll. At USC, Matthews was a standout special-teams player, winning three consecutive Special Teams Player of the Year awards from 2006 to 2008. He also played reserve outside linebacker during those years before moving into a starting role his senior season. During his college career, he was a part of three Pac-10 Championship teams. 1 2 "Social Security Death Index Search Results" . Retrieved 2007-12-26. ↑ Welsch, Jeff. "Tales from Oregon State Sports", via Google Books. Accessed January 2, 2008. "They had been out there the entire game, playing both sides of the ball, without substitution." 1 2 "Ade Schwammel Collection, 1932-19343". osulibrary.oregonstate.edu. Archived from the original on 2007-11-13. Retrieved 2007-12-26. ↑ "Football Play - The Pyramid, 1933". 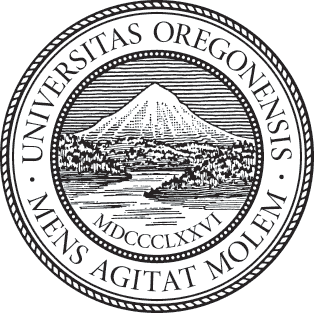 osulibrary.oregonstate.edu. Archived from the original on 20 December 2007. Retrieved 2007-12-26. ↑ "Ade Schwammel". pro-football-reference.com. Retrieved 2007-12-26. ↑ "Inductees: Football". Oregon Sports Hall of Fame and Museum. Archived from the original on September 26, 2007. Retrieved 2007-12-26. ↑ "Oregon State University Sports Hall of Fame". Oregon State Sports Information. Archived from the original on 2015-11-20. Retrieved 2007-12-26.